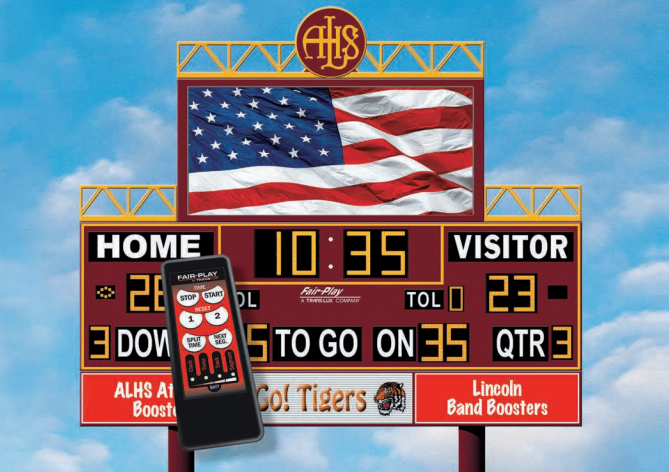 Our scoreboard controllers allow you to control Fair-Play indoor and outdoor scoreboards remotely, with or without hard-wiring. Easily update scores, statistics and time as needed. 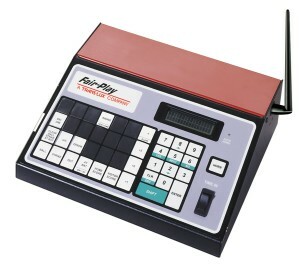 Use for single or multiple scoreboards based on your requirements. A simple two-line LCD display shows time and data instantly. For added piece of mind, our wireless controllers are backed by Fair-Play’s 100% guarantee. If for any reason your wireless operation doesn’t function properly, Fair-Play will supply all the required parts for hard-wired operation at no cost. Direct-wired controls run cabling conduit under the field or court to your scoreboard. Trenching under new or established fi elds is required to install a direct connection. Battery-powered models provide flexibility. You can use these controls both indoors and outdoors in areas with limited electrical connections. Battery-powered models typically run for approximately six hours on a single charge. Wireless controls are versatile and secure. They are a great option for scoring on established playing fields where trenching is undesirable and can also be used indoors. Our spread spectrum, frequency-hopping technology eliminates radio interference and increases operating range. 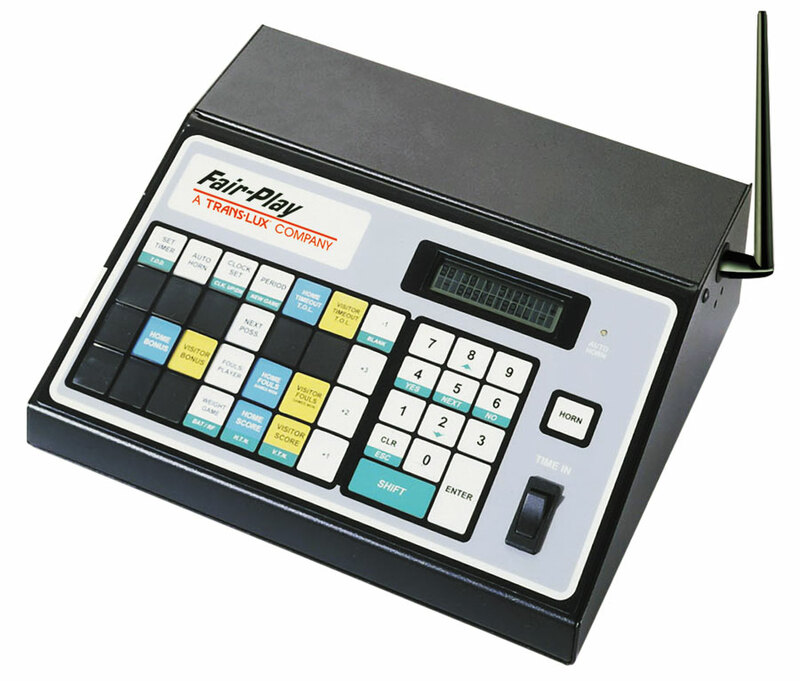 These controllers provide basic scoring and control delay of game field timers, game clocks, segment and track timers for a variety of sports. Users can easily switch between different modes. ©2015 ABV Greencore Associates Inc.